Over 3 million npower customers are to see their gas bills rise by a massive 11.1%, after the energy giant today announced plans to hike their energy prices from 1 December. An unwelcome early Christmas present to say the least. Two of the so-called ‘Big Six’ energy providers, SSE and British Gas have already announced their intention to increase energy tariffs. The latest announcement makes npower the third to do so. Only E.ON, EDF and Scottish Power have yet to make a similar move. Although we expect they will be making similar announcements shortly. Npower’s price increase is the largest to date. The company will also be hiking their electricity prices by 9.3%. Dual fuel bills are set to go up by 10.4%, which in financial terms will add £137 to an average dual fuel bill. Echoing the other suppliers, chief executive Paul Massara said the decision to increase their gas and electricity prices is not something they have taken lightly. “We will continue to take steps where we can to reduce the impact of the external influences on energy bills,” he added. Just like British Gas and SSE before them, the major energy provider blames the increase on Government green schemes and the cost of delivering energy to customers. According to npower, they aim to achieve a “fair return” for delivering energy reliably, taking in to account the risks they have to take. This translates to a profit of five pence in every pound. Price comparison website uSwitch.com is advising energy consumers to look into switching their gas and electricity suppliers. There are some great fixed term price plans available, which will go a long way towards keeping energy bills lower with the added protection of avoiding inevitable price rises next winter and others to come. Aside from using less energy, and throwing on a thick jumper (or two!) to keep warm, it’s also worth checking to see if you could qualify for a boiler, central heating and insulation grant. Take the Government’s ECO free boiler scheme for example. 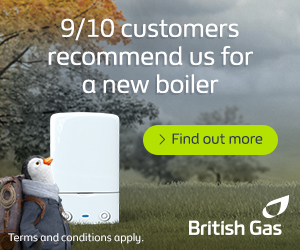 If you are eligible you can get a condensing boiler replacement installed for nothing. Plus you’ll also be able to apply for a cavity wall and loft insulation grant.